This is the second two-day competition in Lexington. There is a 150 competitor limit for this competition. To get to the competition you will enter the main doors out front by Waltham Street and follow the signs to the cafeterias. Please note that you are not required to attend both days, and all rounds of each event will occur on one of the days. Registration will close either when the 150 competitor limit is reached or on June 17, 2017 at 7:00pm EDT, whichever occurs first. Please note that all cutoffs, time limits, and numbers of rounds are subject to change. We will announce all changes during the competition, however we intend to stay with this schedule and these cutoffs/time limits. * Boston Logan International Airport (BOS) is the closet airport to Lexington. MBTA Silver Line and Blue Line services are accessible from Logan to the rest of Boston and other areas served by the MBTA. * A number of bus lines (Greyhound, Megabus, etc.) have service to Boston. Consult Google Maps for public transportation from drop off points. * Amtrak also has service on Acela Express and Northeast Corridor routes to Boston South Station. Connections are available there to the MBTA Red Line. * We suggest using Google Maps for directions to Lexington High School (251 Waltham Street, Lexington MA 02421). Please park in the large lot adjacent to Worthen Road. * MBTA 76 Bus offers service to Lexington from the Alewife Red Line Station, however this service is not available on Sundays. * Taxi or Uber (or other real-time ridesharing services) are also a viable way to get to Lexington High School. Take the MBTA Red Line to Alewife rather than using these services from bus/train stations or airports to avoid excessively high fares. UPDATE: We have extended the registration period until June 24th at 7pm EDT at the latest. If we get to 150 competitors before that date, you will still not be able to register. The registration fee for this competition is $25.00. The WCA Stripe payment system is being used for this competition. You will be prompted to pay following registration. You are not considered registered until you compete. Heats are as follows. Please know your heats for every event you are competing in. Tired of listening to hard-to-hear PA system announcements? We're trying something new this time. Using the app Telegram, you will get automatic notifications when it's your turn to compete. This makes it much easier to step out of the room without missing your events. Simply message your full name (as it appears on your registration) to @CompAnnouncerBot on Telegram, and it'll message you when it's time to compete. Additionally, you can subscribe to @LexAnnouncements to see all heat updates for the competition. Announcements will still be made over the PA system, but we strongly urge you to download Telegram (it's free) and subscribe to notifications. If you have any questions or issues, please email Delegate Matthew McMillan at wca@matthewmcmillan.me. 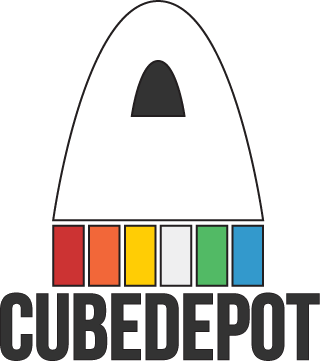 CubeDepot is the official sponsor of Lexington Summer 2017. They will vend and provide prizes for winners.